I always say Tom Ellis is at his best when he is at his most devilish. I stand by that, but gosh darn it, if that mother-flunker didn’t get me to tear-up by the end of the show. I know I’m constantly singing the praises of this show, but even on rewatch I can’t find an episode I don’t like. The way the show can pull out these amazingly deep emotional scenes mixed in with the humor, and the crime-solving—it is like an all-you-can-eat buffet of awesomeness, one that keeps getting better with each refill of the plate. 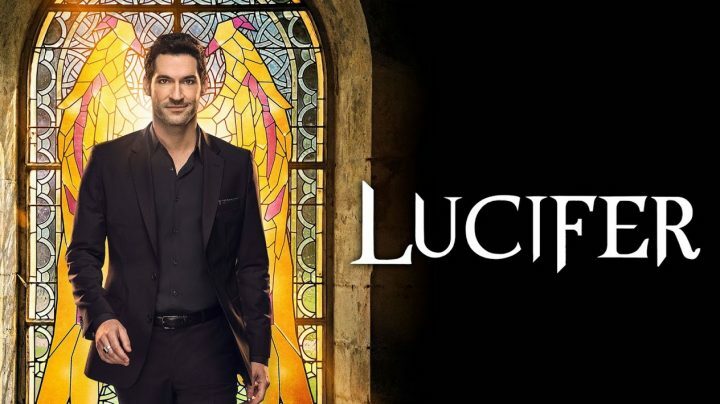 The last few episodes had Lucifer reacting to (he believes) his Father’s manipulations. He fell back into the safety of old habits, acting the way he thinks people perceive him. Just last week we saw Lucifer abandon all responsibility and lean into his Devilish shenanigans. It didn’t work out too well for him and I think there will still be some lasting consequences. I think Lt. Pierce taking a bullet for Decker is going to be the spark that lights a fire between the two. 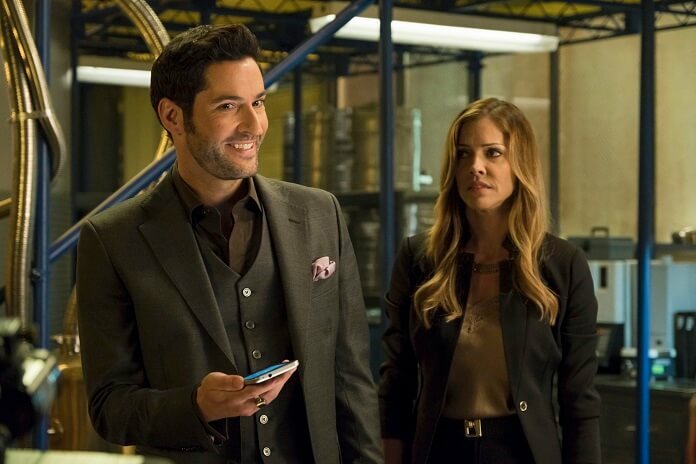 Also, I think Lucifer is going to at some point apologize to Amenadiel for pushing him away. He tends to lash out at everyone else the angrier he is at himself—Amenadiel knows that, but that doesn’t help hurt feelings. This week he is still trying to shrug off accountability, but like his wings, it keeps sneaking back up on him. Charlotte Richards (no longer inhabited by Mom), pulls Lucifer out of his selfishness. He thinks her reemergence has something to do with Dad, (maybe it does) but it is Charlotte just trying to pretend that everything is status quo. She can’t remember the time during which she was host to the Goddess, but does have a sense that she was in Hell. This prompted her to change her ways, well kind of—like Charlotte of last season, she means well, she just doesn’t quite know how to go about things. Lucifer told this Charlotte how much he will miss the other Charlotte, but I think it may turn out they are more alike than he knows. I’m curious as to if there are other side effects to hosting a divine being for so long. We saw she has the scars from other Charlotte’s battles, but is there more? This Charlotte does not want to go back to Hell when she passes on (again), so will this mean she’ll be taking on a different job? She knows defending evil-doers is just as bad as being one—so she needs to make some big changes. Maybe she will start defending those unjustly accused, or maybe become a prosecutor. I’m very curious to see how her character develops and if Lucifer will help her further on the path to redemption. My favorite moment of the episode had to be Ella confronting Charlotte. I loved how she had Dan’s back, not just with that, but then again with the pudding. I loved how she just smacked it out of his hand. She is such a fiercely loyal friend. I think she is a lot like Maze (well, like two sides of a coin); they are very different personality wise, but the love and loyalty they have for their friends is intense, almost to the point of obsessive (in a good way). For both, it is all or nothing. 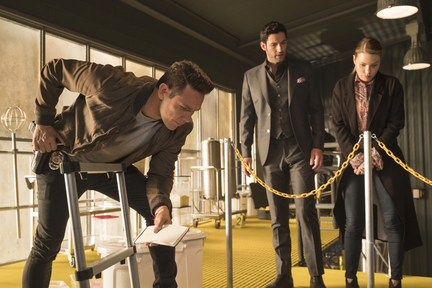 Next week, we have Ella traveling to Vegas with Lucifer, which is sure to make for a very fun and entertaining episode. Final note, when you think of it, everyone eating Dan’s pudding, probably saved his life—hmmm…. divine intervention?